Begin your Character Ed theme by choosing on important ethical values to focus on for an entire week. Include honesty, loyalty, trustworthiness, respect, responsibility, self-discipline, cooperation, compassion, fairness, perseverance, courage, humility, generosity, citizenship, and friendship – all important character traits. Why not print a banner and place it over the doorway to remind the kids of the value you are studying this week? Guide students through discussions about what the word means and provide examples to help the kids with understanding. Create a bulletin board with the value as the title and have the children search for and cut out photos and articles in magazines and other periodicals to add to the board. Children learn so well through stories they hear. Display books in your reading nook and use them as your “readalouds" for the week. Encourage the kids to reread the books and continue to talk and communicate about the importance of the spotlighted virtue. Use the “Think, Pair, Share" method for communication. We shook hands with the other players after they won the game. We should listen when other people talk. It’s hard to trust my friend after he/she told a lie. I copied an answer from my neighbor’s paper. Do I have to do my homework before I go outside to play? If we take things off the shelf, we must put them back. We collected donations for the food bank. I feel good when I say something nice to someone. Let’s divide the cookies so that everyone has one. We want to hear what everyone says before we decide. We should follow the rules. Everyone at the lunch table should help pick up the trash. These are only a few of the many sentence starters you can use as you plan your character building activities for the week. Take character recognition a step further by creating a character chain. Cut out strips of colorful construction paper and leave them on the table with a black marker. Each time a person is recognized for exhibiting an exemplary character trait, write his or her name on one side of the strip and write why the trait is being recognized. Form the strip into a ring and staple to create a chain that will hopefully grow that it will travel around your entire classroom. The Giraffe Heroes Project is a non-profit organization that has developed a curriculum fostering active citizenship. Kids learn about everyday heroes, people who “stick their neck out" for the common good. The children hear their story and then study the qualities exhibited by these heroes. You can search for these heroes by name, location, gender, age, and problem addressed. Check out The Giraffe Heroes Project website. There are teaching materials for all ages. In your class, do some “giraffe spotting." Again, a giraffe is a person who sticks his/her neck out for other people and the community. Duplicate a black line picture of a giraffe and cut out a supply. 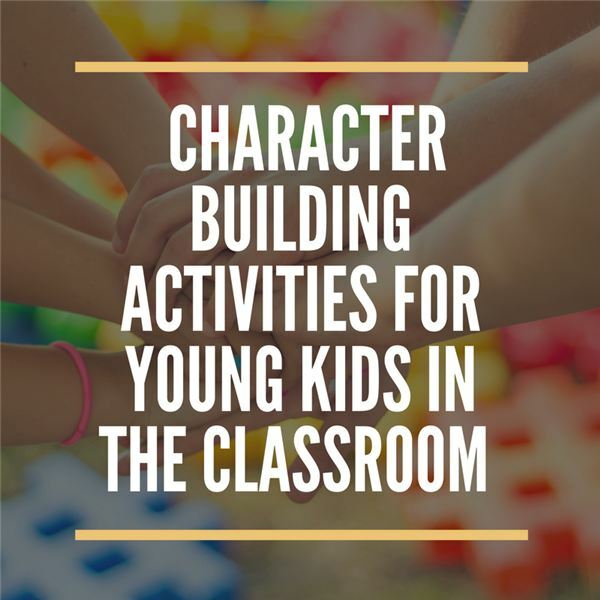 Recognize students who display exemplary character traits in your school. Pin these on the student (with a safety pin) as a badge of honor.